Scaling a workshop lighting business into a retail brand. Copperfish came to us to help them grow into a viable brand for retail and on-line markets. Working with salvaged wood, each Copperfish lamp has a unique character and look. Retailers and customers were already intrigued by their products – but to move beyond the craft fair scale they needed to better define their brand story and elevate their packaging, website and photography. We helped them streamline their product offering and bring their unique story to the fore through evocative product and collection names and stories based on the wood’s provenance. We created a modular packaging system and an elegant branding scheme with a refined logotype and colour palette. A tactile jagged edge motif, inspired by workshop tools, adds a tactile finish to packaging and swing tickets. For e-commerce and press needs, we developed a distinct brand photography style that heroes the materials and the elegant over-sized bulbs. 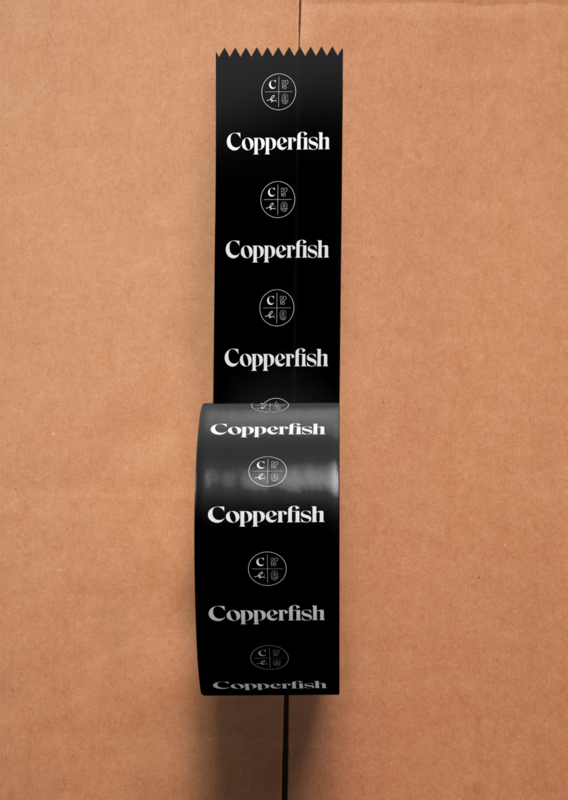 Since rebranding, the Copperfish Lighting Company has secured significant orders from national retailers who cited the new packaging and branding as key to their decision to stock the product line. Their new website saw an instant increase in enquirers and on-line sales.